Baked stuffed onion is a healthy delicious recipe where onions have been stuffed with spicy vegetarian filling. 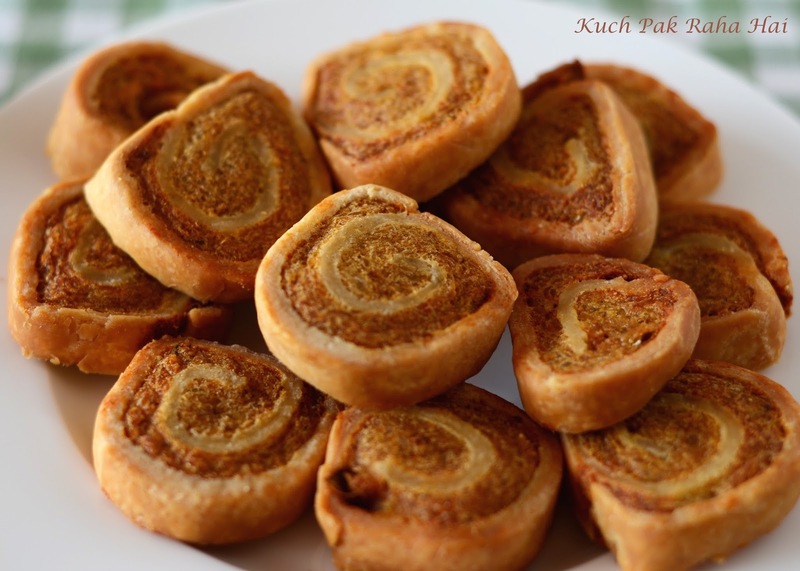 The combination of tangy filling with outer layer of sweet caramelised onions tastes drool worthy. The idea of these stuffed onion came from a restaurant where in description of dish it was mentioned "baked stuffed onion with seasoned meaty filling". As I am a vegetarian I could not try that dish but I really liked the idea of stuffing onions. 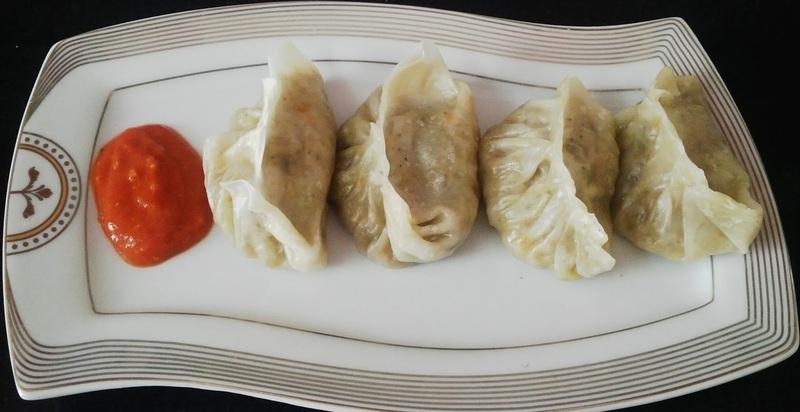 At home I thought of various vegetarian fillings but finally I zeroed down on Soya granules. 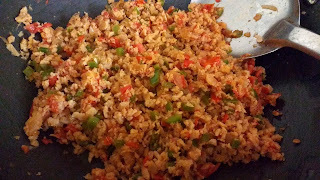 To my surprise, the entire dish came out really tasty and more than what I expected. 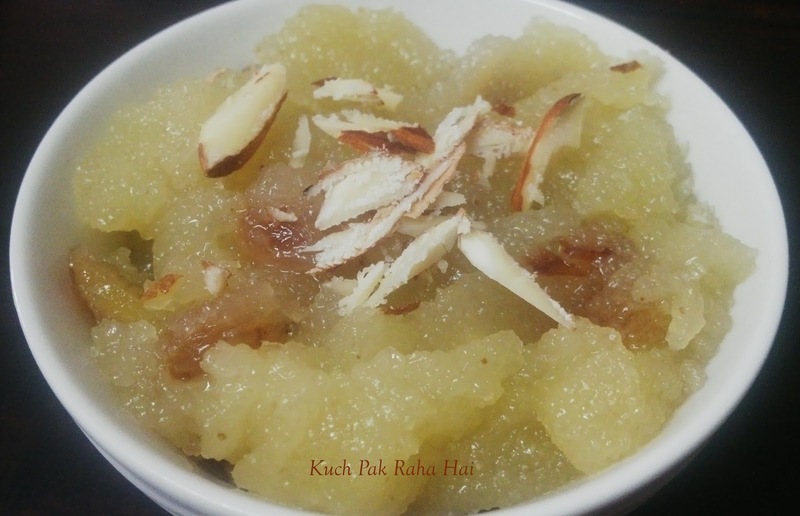 It can be easily served as a side dish with Indian menu. 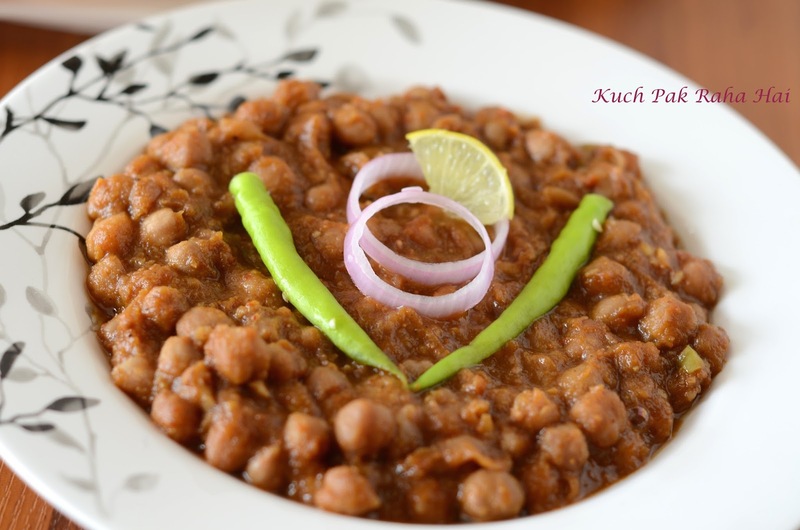 Moreover, it is a different option than regular aloo gobhi or paneer recipes that we generally make as a side dish with lentils. I had earlier shared a recipe for Shahi stuffed tomatoes also. 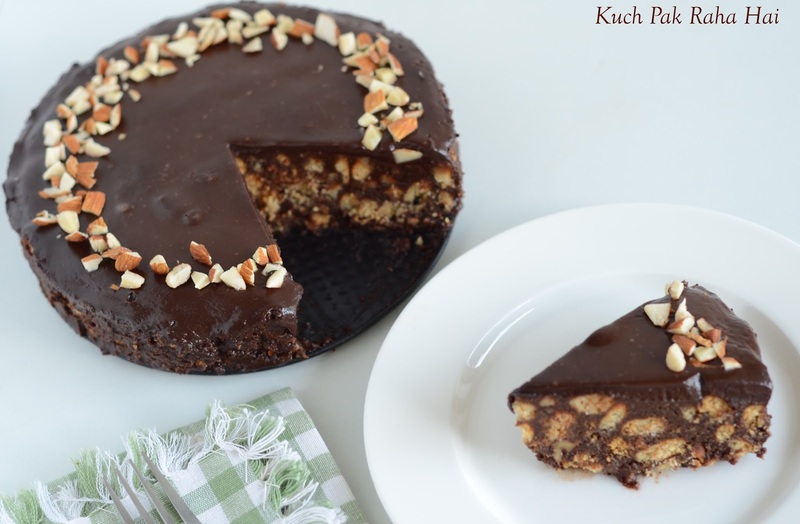 You can check out its recipe here. The recipe is quite simple. The only thing to take care about is hollowing of onions. You can use a sharp knife or a small scooper also. 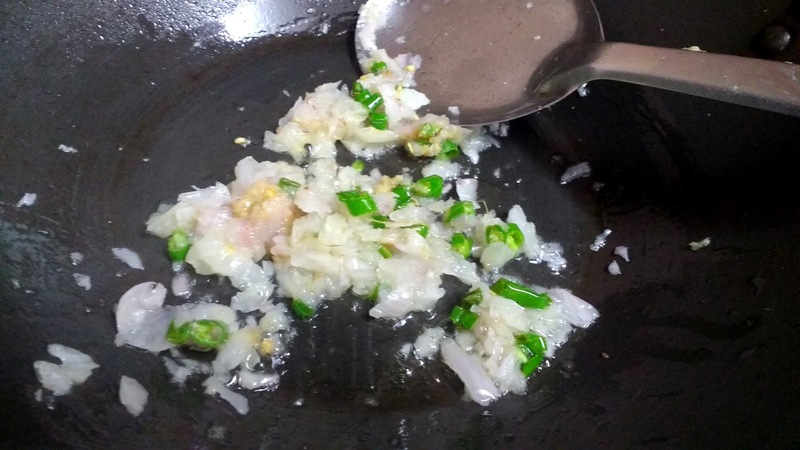 After scooping one or two onions, you will become confident and will not take much time also. The filling in this recipe is intentionally kept spicy and on tangier side to balance the sweetness of onions. You can adjust the spices accordingly. 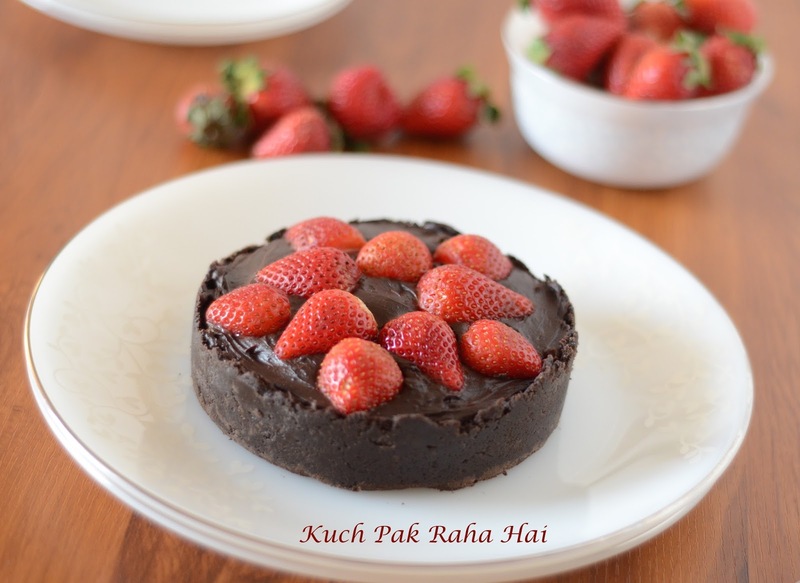 I have served it over a bed of fresh coriander leaves and lemon juice. 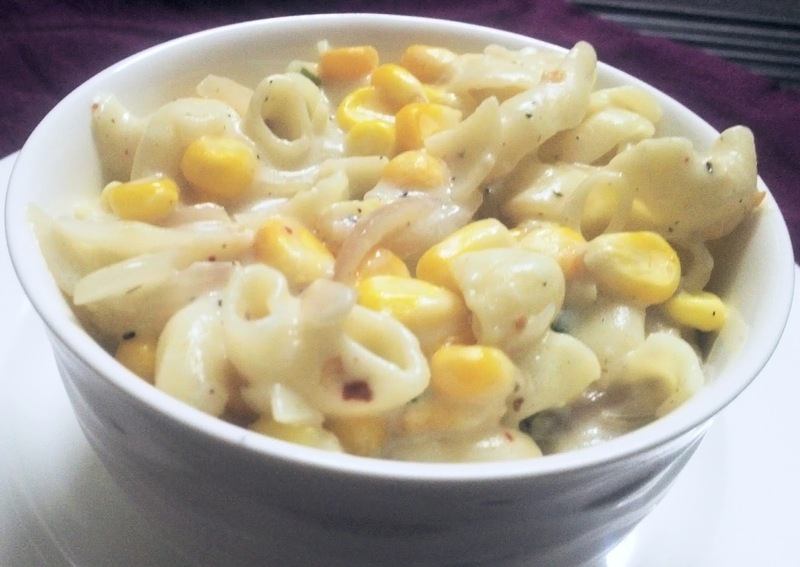 It enhances the overall taste and freshness in the dish. The best part about this recipe is that it is low oil recipe. 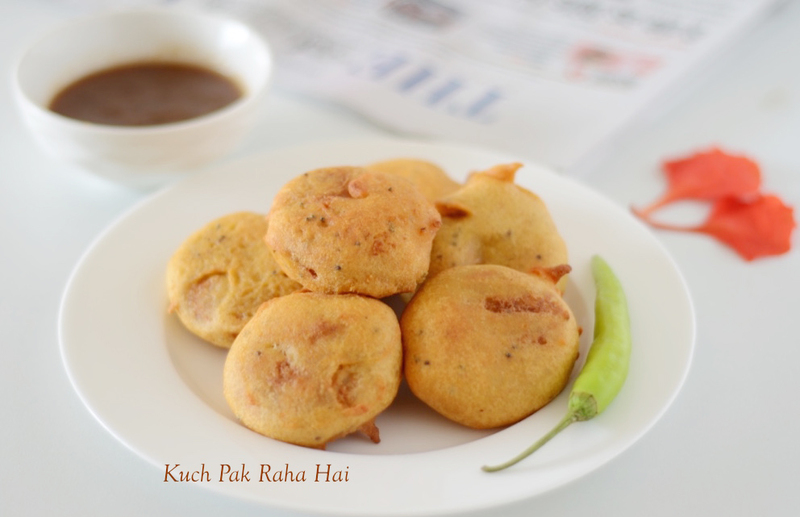 As it does not require any gravy or deep frying, the amount of oil or fat that goes into making it is very less. You can enjoy these baked onion any time guilt free. 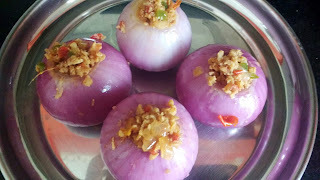 Hope you would like this Baked Stuffed Onion recipe!! 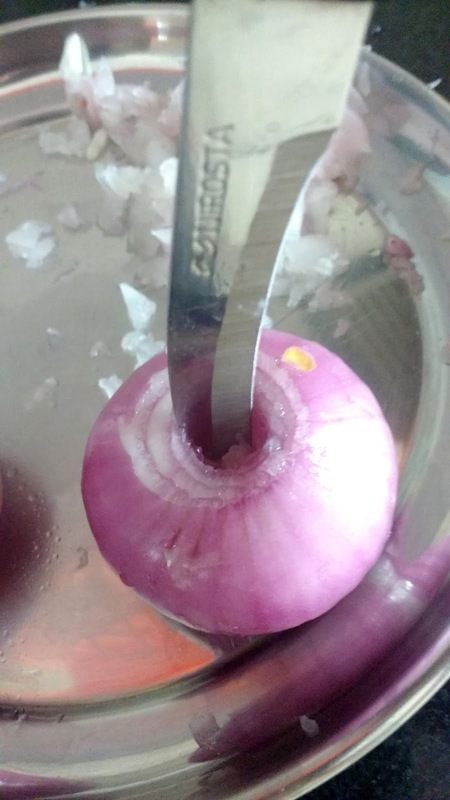 We will begin with scooping of onions. 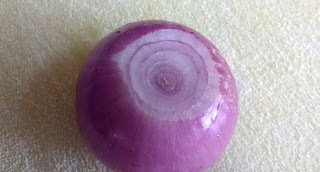 First of all, cut small flat portions from top and bottom of onions so that they are able to balance on its own. Peel the top layer of onion and wash it. Use a sharp knife or scooper to dig in the onions. You have to leave roughly 2-3 layers on outside of onion. 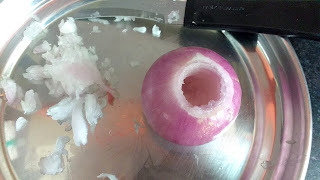 Starting from the centre make cuts and pull the onion pieces with knife. This will take some time but be patient. While the knife is inside onion, focus on removing the onion pulp width wise. You will yourself get to know when you are nearing the base. The knife with pointed tip and slightly curved side is useful in scooping vegetables. I accidentally discovered this knife but it is really a useful item. You can even use small scooper for it. We need a sturdy base for filling so leave little more on base as compared to sides. Rub oil on these onions and keep them aside. 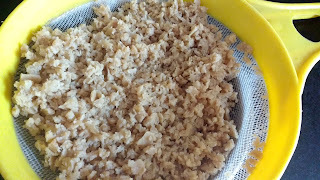 Don't discard the scooped out onion pulp as will use it later in filling. Wash the soya granules once. Boil them in hot water for 2-3 minutes with a pinch of salt. 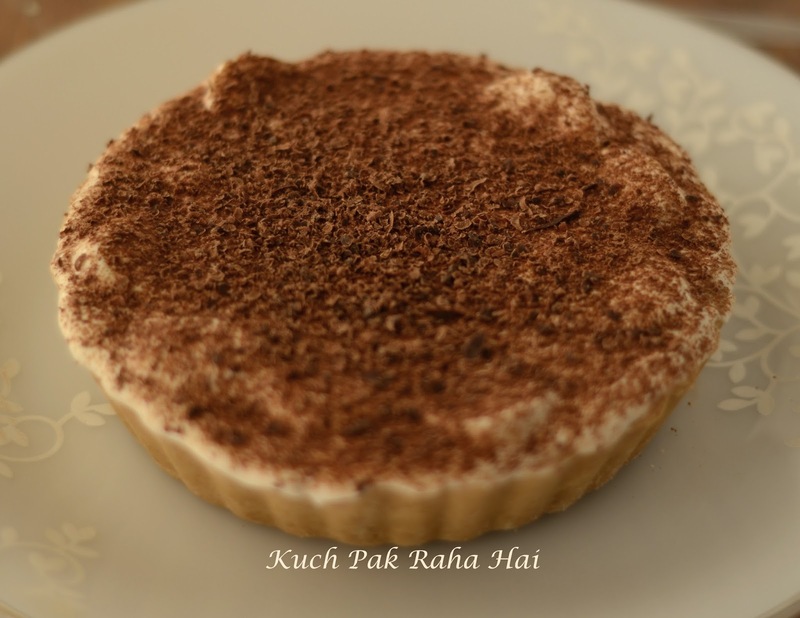 I have used Nutrela Soya Granules in this recipe. You can check it out here. Once boiled, drain away the water and squeeze away the excess water using hands or muslin cloth. Keep these soya granules aside. Heat cooking oil in a pan. Add chopped green chillies and ginger garlic paste to it. Let it saute it for few seconds. Add chopped onions to it. Cook them till they turn pink & translucent. 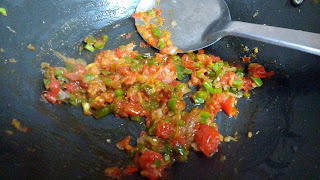 Add chopped capsicum. Sauté it for 2-3 minutes. Add chopped tomatoes, salt and all the spices. Stir well. 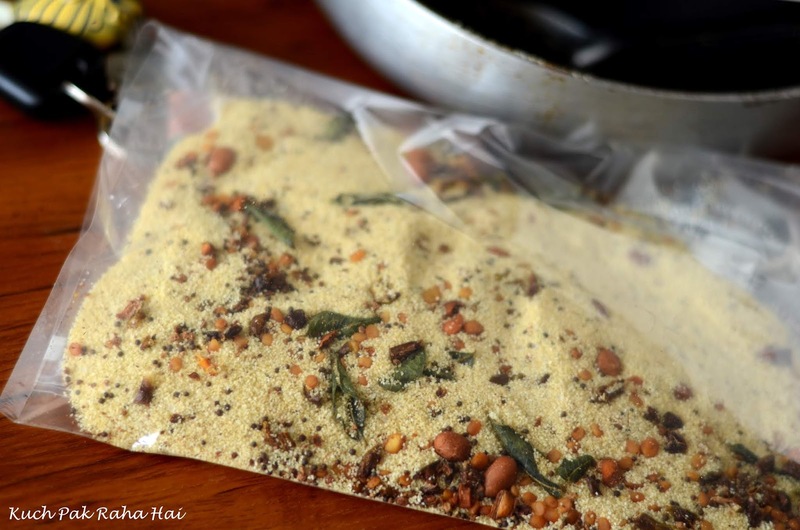 Let the masala cook for 4-5 minutes. 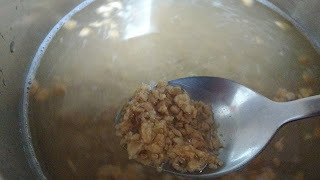 Add cooked soya granules to it. Mix well. Cook it on low flame for 2 minutes more then switch off the flame. Keep this stuffing aside. Let it cool down. Preheat the oven at 200 degrees Celsius. By the time oven is preheating lets proceed to next step. Once the stuffing has cooled down, stuff it into hollowed onion using spoon. Gently press the stuffing inside onions using fingers. Rub some more oil on stuffed onions. 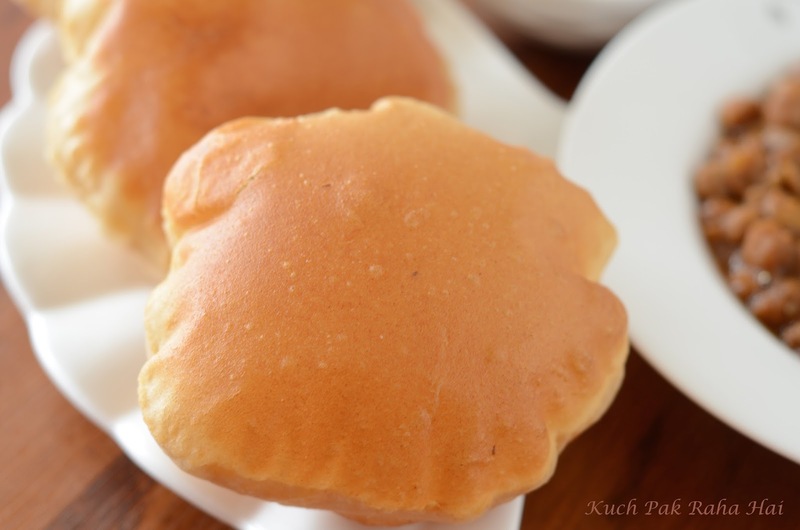 Place a butter paper or parchment paper (buy here) on a baking tray(buy here). 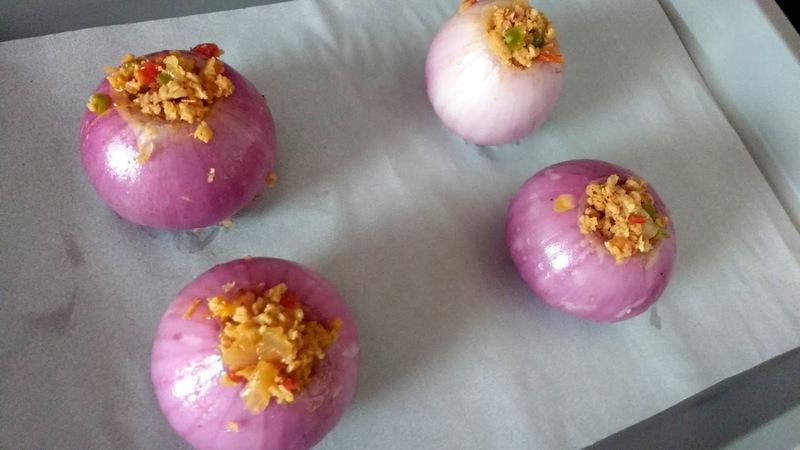 If the oven has preheated by now, place the stuffed onions on lined baking tray. Bake them at 200 degrees Celsius for 40-45 minutes. For serving, make a bed of coriander leaves and squeeze some lemon juice over it. Arrange hot baked onions over it.